Are an estate plan and a will the same thing? No. A will is one part of an estate plan. 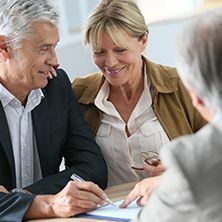 A properly considered and drafted estate plan will plan for the possibility your incapacity (inability to make decisions for yourself) as well as your death. An estate plan will usually contain a will, living will, general durable power of attorney, healthcare power of attorney and a HIPAA release. Your beneficiary designations on your accounts should also be taken into consideration. Trusts may be used as well. A trust is a way of managing property and distributing it yourself or others. There are three parties to a trust. The Grantor, the person who creates the trust and establishes its terms. The Trustee, the person charged with managing and distributing the trust property according to the terms of the trust. The Beneficiary, the person who receives the trust property. There are many types of trusts form many types of purposes. Your property is distributed to your heirs at law according to the Intestacy laws of the State. The distribution may or may not be in accordance with your wishes. A will is a proper way to see that your property is distributed to whom you want in the way that you want. If I die, who will look after my minor children? In general, if you die and the other parent of the child survives you, that parent will become the guardian of the child. However, a will is the only document in which you can appoint a guardian for your child in the case where both parents are deceased. Can I leave money to my pet after my death? Yes. A trust may be created for the care of an animal that was alive during the Grantor’s lifetime. Any money remaining in the trust at the animal’s death is either distributed according to the trust or returned to the Grantor’s estate. I am concerned about leaving an inheritance to my child who has an alcohol, drug or spending problem. The inheritance of a child with an alcohol, drug, or spending problem can be left in trust for that child. The trustee will manage the inheritance according to the trust terms which are designed so that the child’s legitimate needs are taken care of and the inheritance is not otherwise wasted by the child. divorce. What can I do? The child’s inheritance can be left in a Bloodline Trust. 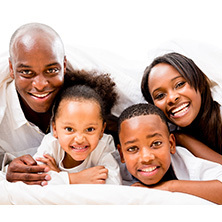 The trust can take care of your child’s needs while protecting the inheritance for your descendants. Can my IRA or 401(k) accounts be left in trust? Yes. 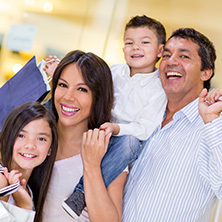 Leaving these assets in trust is often a great way to ensure that your hard-earned assets receive the maximum return possible in a tax-free account. This is known as maximizing the stretch of the account. The typical inherited IRA or 401(k) that is inherited outright is depleted within two to four years. I have a child with special needs, can I leave money to them? can be terminated if the special needs person receives money outright. However, a Special Needs Trust can be established to provide the special needs person the benefit of their inheritance while protecting their right to receive government benefits. This is the legal process of winding up a decedent’s affairs. It is overseen by the court. An executor/administrator is someone who is charged with winding up the decedent’s affairs and distributing their assets to their heirs. An executor is appointed under a will while an administrator is court-appointed when someone dies without a will. The executor/administrator collects the decedent’s assets, pays their debts and taxes, and distributes the remaining assets to the decedent’s heirs. The court oversees this process. With proper estate planning, it is possible to avoid probate wholly or almost wholly. A loved one has died with a will, what do I do now? You must wait ten full days after the date of death to probate the will. 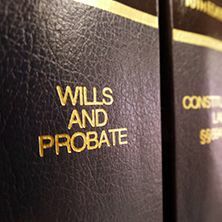 On the eleventh day, or thereafter, the executor should appear at the county surrogate’s office to probate the will and receive Letters Testamentary, which authorize the executor to act on behalf of the estate. The executor will need to bring an original will, death certificate, identification, and a check for the Surrogate’s fee. Some Surrogate’s require an appointment for this visit. A loved one has died without a will, what do I do now? You must wait ten full days after the date of death to open probate. On the eleventh day, or thereafter, the candidate for administrator must appear at the county surrogate’s office to open probate and receive Letters of Administration, which authorize the administrator to act on behalf of the estate. The administrator will need to bring a death certificate, identification and a check for the surrogate’s fee. Some surrogates require an appointment for this visit. A loved one has died and their will is locked in a safety deposit box, what do I do? If no one else has authority to access the safety deposit box, then the decedent’s next of kin must obtain an order from the county surrogate authorizing access to the safety deposit box. The order is then presented to the bank who will open the safety deposit box and look for the will. If it finds a will, the bank will send the will to the surrogate.